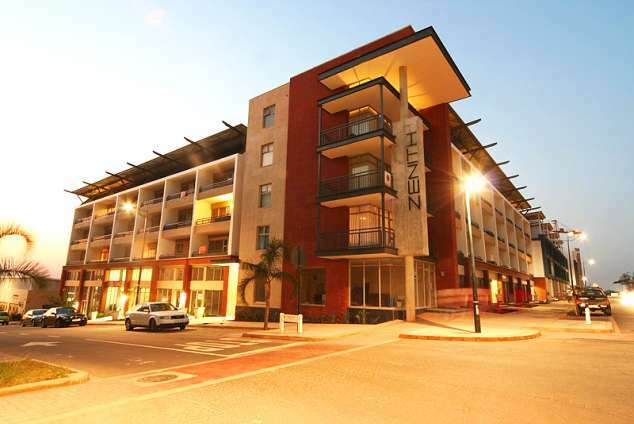 The Place on Zenith N112 - Umhlanga Ridge Accommodation. Situated in the exclusive suburb of Umhlanga Ridge. Self-catering accommodation in the for 1 x Bedroom luxury apartment for your weekend, weekday getaway, family vacation or business. Well appointed modern granite kitchen is fully equipped, including microwave, fridge, freezer and eating utensils. The bedroom with double bed is comfortable with en-suite. Hairdryer, fresh towels and toiletries, linen/bedding supplied. Comfortable lounge with TV with M-net and satellite, double sleeper couch. The Balcony with BBQ and smoking facility. Building with 24 hrs manned security and access control, undercover secure parking for 1x vehicle. With easy access to shopping and restaurants facility located close to business parks, sports clubs, tourist attractions, the Sibaya/Sun Coast Casinos, Gateway "Theatre of shopping & Entertainment Complex" and many top quality 18 hole golf courses. Ideal for the single business man, couples or small families. Large balcony with BBQ and smoking fac. 26929 page views since 09 Jul, 2008.